With the increasing legalization and use of cannabis worldwide has come the growing demand for regulations surrounding the substance. Consumers now call for tighter and more consistent testing protocols surrounding the safety of their cannabis. One of the major contributing factors in cannabis quality control is accurately testing and labeling potency- an important hurdle to meeting appropriate cannabis regulations. Potency accuracy is not only important for consumers who rely on correct labeling for consistent medicinal dosing, but for those all along the cannabis supply chain. For cultivators, producers, and other commercial retailers, potency profiling is key for correctly assessing the monetary value of the product. How is potency testing performed? Until now, the industry standard for those that are able to gain access to proper potency testing has been cumbersome, expensive, and out of reach for the average individual. 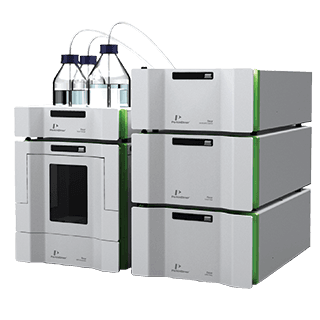 High-performance liquid chromatography, or HPLC, the current ‘gold standard’ for potency testing is time-consuming, labor intensive, and costly in both the price of actual testing and resulting materials lost. HPLC testing is effective for single flower accuracy but not ideal for reaching analytical conclusions related to larger batch consistency. Requires materials to be ground, destroying the sample and causing loss of profit. The flower tested is not returned to the batch and sold, further contributing to inaccurate batch labeling. Cannabis heterogeneity is part of the natural variance found in cannabis crops. Despite the precision of a testing laboratory in measuring cannabinoids, the plant’s inherent diversity plays a significant role in potency inaccuracy. Highly trained analytical chemists are needed to operate the machine. Hazardous solvents are used and subsequently need to be discarded. These drawbacks have led cannabis industry pioneers to turn to other, less invasive and more practical ways of cannabis potency testing. Near-infrared spectrometry, or NIRS as it is more commonly known, is one of the newest ways the need for accessible potency testing is being met. With the interest and demand for potency testing on the rise, new scientific and technological breakthroughs have allowed advancements in testing methods like Near-Infrared Spectrometry- NIRS. Ability to provide more accurate readings for large batches. Although other popular testing methods like HPLC can be appropriate for single sample analyses, NIRS can more effectively test a larger number of flowers drawing a more precise analysis by averaging results of multiple samples. NIRS can evaluate a sample without destroying the flower’s value or efficacy, ideal for those who want to test the cream of their crop without destroying any of their most valued samples. Environmentally friendly and produces zero hazardous waste. Quick; may deliver results in a matter of seconds. Significantly less technically complicated than HPLC allowing most anyone to be able to perform analyses without training. This leads us to our next point. c) Selling the samples analyzed rather than having to account for their destruction. To reach HPLC accuracy and for NIRS chemical quantitation, multiple calibration and correlations are needed. Not all NIRS solutions come with the high-level algorithms required for accuracy and reliable analysis. Not all NIRS solutions are able to deal with the heterogeneous nature of the cannabis flower and consequently require that the user ground the flower to create a more representative sample for analysis. Grinding destroys flower value and efficacy. GemmaCert’s propriety hardware setup, involving multiple optical sensors, coupled with its advanced algorithms, effectively deals with the flower’s heterogenous nature while avoiding the need for sample destruction. GemmaCert’s NIRS-based solution gives forward-thinking businesses a small testing unit to refine their products, increase quality control, and to impress regulators, business partners and customers.